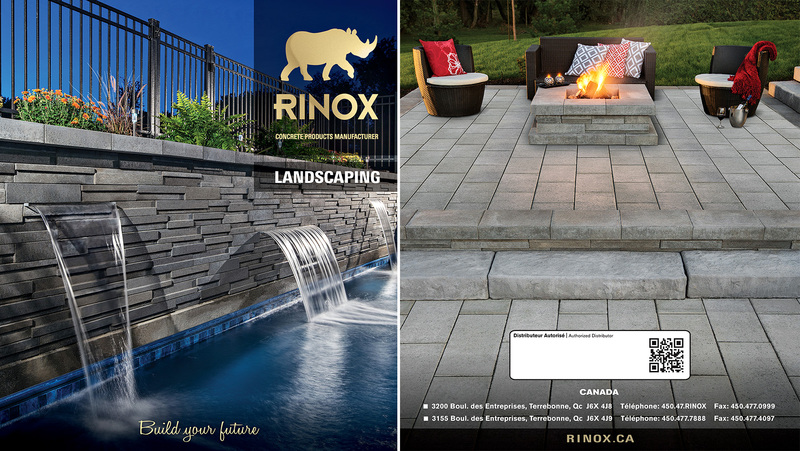 When I was contacted by Rinox Concrete Products manufacturer at the beginning of last summer, The first shoot was all about landscaping. Arriving early, my first task was to find two suitable angles for the front and back cover. Then, once the angles were found, the next issue was to find the right light to bring out the texture and the quality of the stone. For both of the shots below, we used construction lights present on-site to help create the perfect lighting conditions. For the front cover, we used two sets of lights at the left and right of the camera, close to the wall and fountains to create volume and texture of the masonry work. The long exposure gives a striking result and really highlight the flow of water of the fountains. The contrast between the blue sky and the grey compliments the shot pretty well. 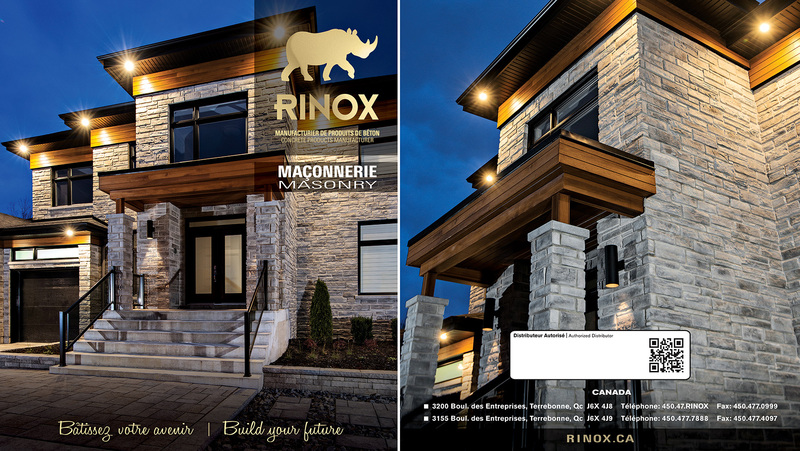 For the back cover, I used the leading lines of the stones to the fireplace and a perfect symmetry to show the landscaping products. Then, I used one construction light (to camera left a 8-10 feet behind the chair on the left) to create an interesting highlight and to add some 3D dimensional aspect to the shot. The second shoot for the alternative masonry was a bit more straightforward. I used mostly the ambient light and added some fill with one strobe to fill a bit of the dark parts of the images. The last shoot for the exterior masonry was a bit more challenging because I had to light the facade of the house with two strobes to balance with the ambient light in the sky while keeping some details of the masonry work. 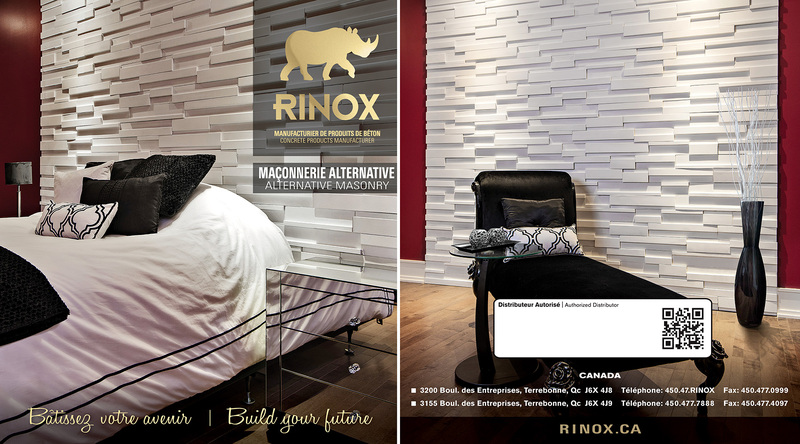 Overall it was a great experience and I am grateful to have collaborated with such a great client.